in Leiden is a research institute financially supported by the governments of the Netherlands and (Flemish) Belgium. 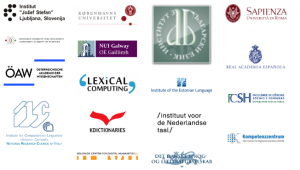 It takes a central position in the Dutch- speaking world (including Vlaanderen, Suriname and the Netherlands Antilles) as a developer, keeper and distributor of sustainable language resources through the centuries, using reliable scholarly methods. There are approximately 30 employees working at the INT. The institute has a long-standing experience in building corpora and dictionaries, in linguistic processing and enrichment of language resources, and in developing linguistic and lexicographical retrieval applications. the Woordenboek der Nederlandsche Taal (WNT, Dictionary of the Dutch Language; ca. 1500 – 1976). Currently the institute is compiling a new dictionary of contemporary Dutch, the Algemeen Nederlands Woordenboek (ANW, Dictionary of contemporary Dutch). The INT dictionaries and lexica, both contemporary and historical, are corpus-based. The institute hosts a wide range of corpora, including Gysseling Corpus (13th century texts), Letters as Loot (Brieven als Buit 16th and 17th century letters) and Corpus of Contemporary Dutch. They can be accessed through a corpus search engine, BlackLab, developed by INT. 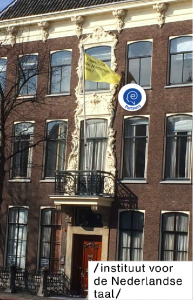 The institute also has an official role as a repository for digital language resources for the Dutch language previously hosted at the ‘TST-Centrale’ (Agency for Human Language Technology). As such it has ample experience in acquisition, management, and maintenance of linguistic resources and tools, and making these available for education, research and development. More information on the available resources and tools can be found here. The institute has participated in the EC funded projects PAROLE, SIMPLE, TELRI, ENABLER, ELAN, IMPACT, SUCCEED and Transcriptorium. relevant for research in and development of language and speech technology. INT is also a board member of the IMPACT Center of Competence. Visits are possible all year, except for July and August.